I was not so pleased with some of the other shocking wins like Bobby Cannavale; I thought he did an amazing job on Boardwalk Empire, but he wasn’t my first pick [or second or third]. I wanted the Best Supporting Actor Emmy to go to Aaron Paul. I would have also been happy with Peter Dinklage or Mandy Patinkin. Same goes for Jim Parsons; he is great but I feel his time for awards was 6 years ago, when the character was brand new and exciting. On the other hand, a couple of shockers I wanted to see didn’t take place. 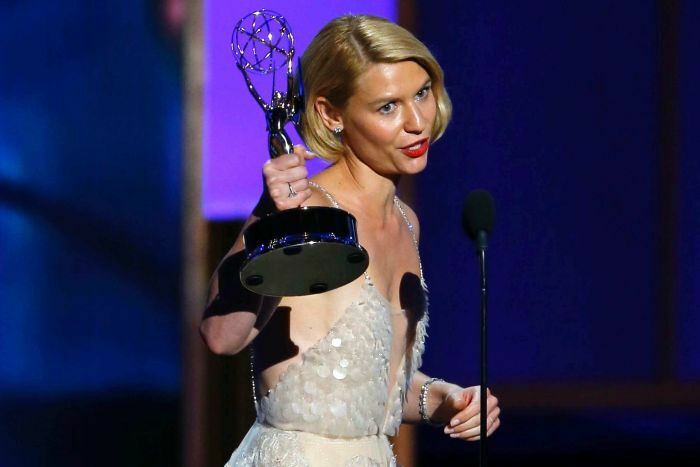 I was secretly rooting for Kerry Washington, just because of the dark horse factor; but I can’t really say her performance was better than Claire Danes’s. I also wanted Emilia Clarke to win and get at least something for the Game of Thrones gang, which was completely ignored this year [I was hoping for Best Writing, but no luck there either]. Finally the category that defied the odds the most was Best choreography! The ONLY non-So You Think You Can Dance choreographer (Derek Hough) won! I haven’t seen his routines lately, but I can’t imagine how good they need to be in order to be “better” than Travis Wall’s [not complaining… OK maybe I am]. No love for my favorite dancing competition, but the dance number (choreographed by all nominees) was sick! A dance number about TV shows to the tune of theme songs! Are you kidding me? That’s like the coolest thing ever in my book. History was made this year, marking the first time original “online shows” were nominated in the important categories. Netflix shows like House of Cards and the Arrested Development reboot scored nods but sadly no wins [except for Best Directing for David Fincher]. I wasn’t expecting Jason Bateman to win, but I WAS expecting Kevin Spacey to take the Emmy [and he certainly deserved it], but I guess Emmy voters aren’t ready to give it Netflix just yet. And while we are on the subject of great actors… what does Benedict Cumberbatch need to do to win an Emmy?! He was ignored for Sherlock and this year for Parade’s End, but that is no shocker since ALL the miniseries or TV movie awards went to Behind the Candelabra. Sadly Emmy voters completely ignored the other wonderful miniseries like Top of the Lake [and Elisabeth Moss! ]… Perhaps they just don’t watch the Sundance Channel [or anything that isn’t HBO]. 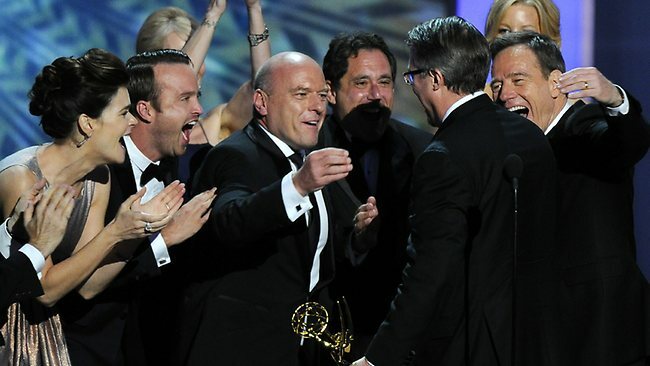 Having said all this, everything is right in the world because Breaking Bad FINALLY won Best Drama Series and I couldn’t be happier about it. 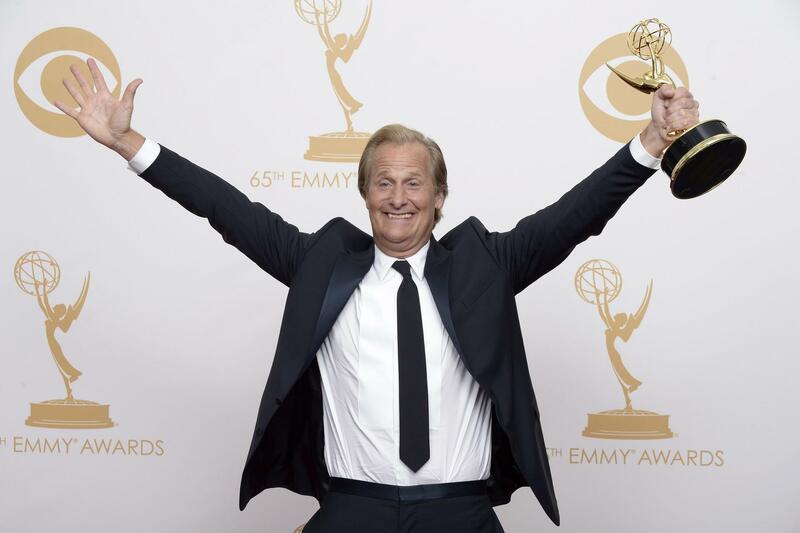 It was my one Emmy wish and it is the perfect way to say goodbye to one of the best TV shows in the history of television.